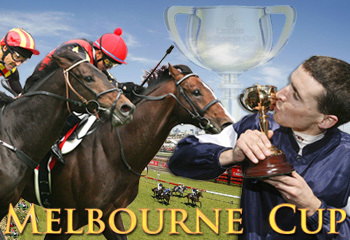 Well today is Melbourne Cup day in Victoria in Australia. This year’s race has a lot of international contenders. It is one of the richest races in the Southern Hemisphere. Most people in Australia attend the race or if they can’t they usually attend lunches and watch the Cup on large screens. The Australian people want this day to be a national holiday but the government is just not coming to the party. Even those people who don’t have horses suddenly become horse experts on this day.